DALLAS (AP) — Zach Abey still gets a chance to score touchdowns for Navy even though he is no longer the starting quarterback. Abey doesn’t have a catch as a starting receiver, but still takes snaps in short-yardage and goal-line situations and has six rushing touchdowns on 15 carries. That is tied for second-most among FBS players with Malcolm Perry, the Midshipmen’s sprinting starting quarterback. “There’s a lot of points there that are probably not attributed to our defense,” he said. Now the Mustangs face Navy’s triple-option offense that provides quite a challenge for any defense. 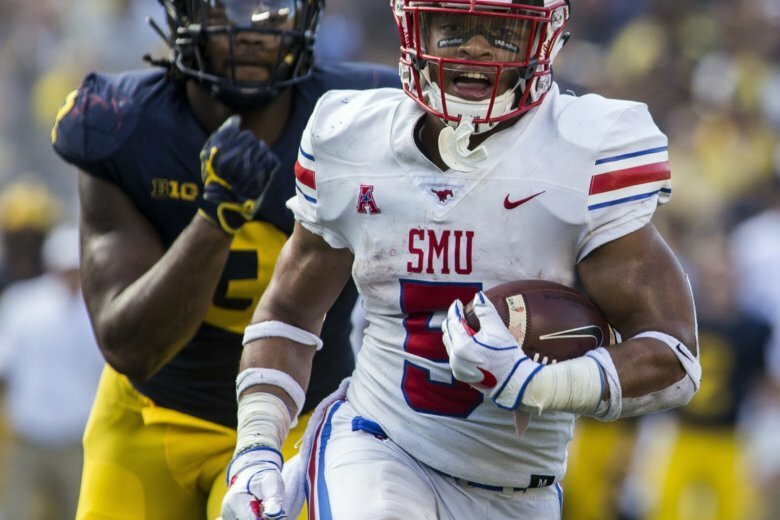 SMU junior James Proche had career-high 11 catches for 166 yards and two touchdowns against Michigan. The Mustangs are one of only four FBS teams with three running backs with more than 1,000 career yards rushing — Braeden West (2,059), Xavier Jones (1,924) and Ke’Mon Freeman (1,219). The other FBS teams with 1,000-yard trios are Ball State, Georgia Tech and Syracuse. There is a trophy that goes to the Navy-SMU winner. The Gansz Trophy was created in 2009 for former special teams coach Frank Gansz, a former Navy center and linebacker who spent time on both coaching staffs. Gansz was 70 and had finished one season on SMU’s staff when he died in April 2009 of complications following knee replacement surgery. The Midshipmen are 6-0 since the trophy was introduced.